Talentsquare is best suitable for fast growing businesses, SMEs that want to expand their team and have an easy to use Applicant Tracking System. 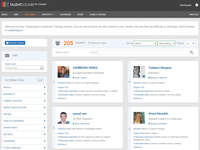 Talentsquare was designed and developed with the focus in tackling recruiters and companies biggest pains when searching for candidates. 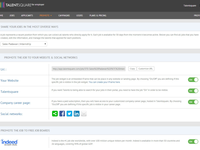 Among the many features Talentsquare provides, you can benefit from an easy way to share your jobs to different social networks and known job boards, as well to embed in your website. It's easy to use and you can use for free! 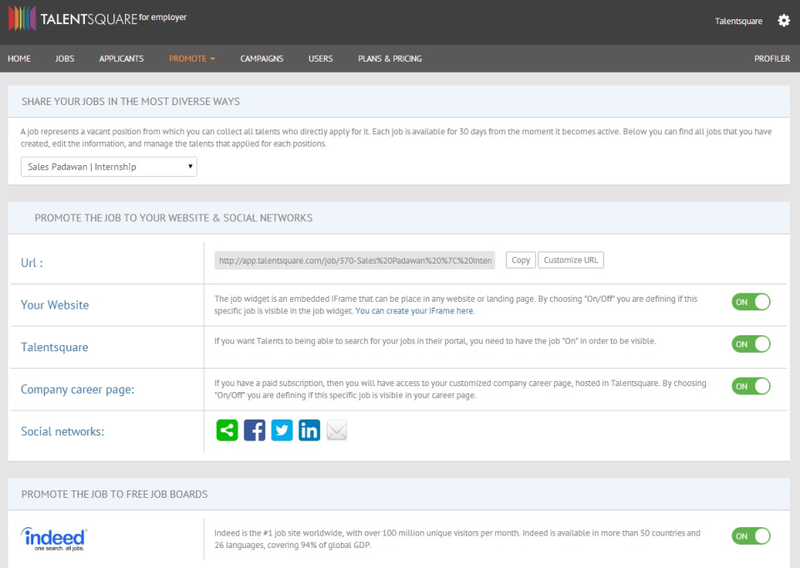 Comments: We have been using Talentsquare for the latest editions of our recruitment campaigns here in Latin America. Currently we offer around 50 positions which have been integrated in our ¿Cuanta Energia Tienes? website. We have received more than 6000 CV´s and spoting the right profiles is not easy when you receive so many applications. 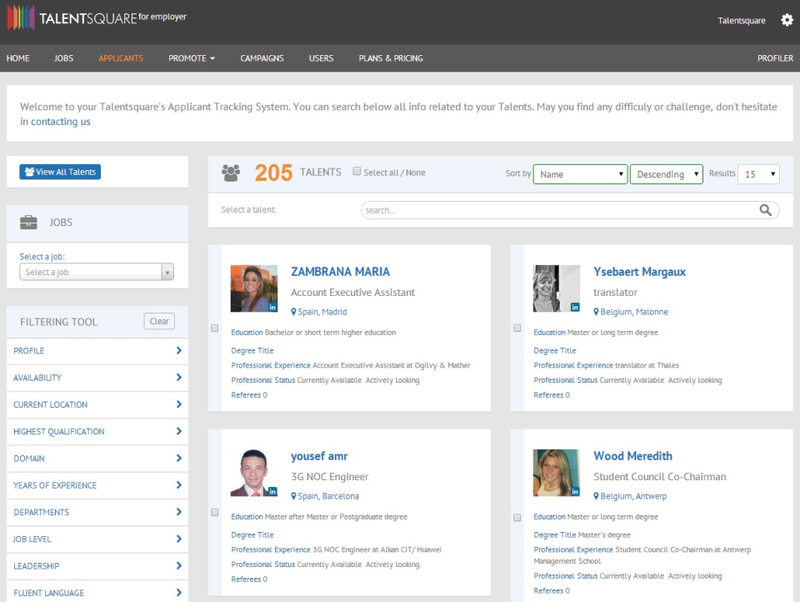 Talentsquare has helped us to quickly find the right talents in our database so we are very happy. On top of that they have a small team of very reactive professionals who are always there to support us. Comments: The ability of Talentsquare to deliver an (fully) web 2.0, integrated and end-to-end recruitment solution for our Latin America recruitment campaign 'Cuanta Energia Tienes' has proven impressive. 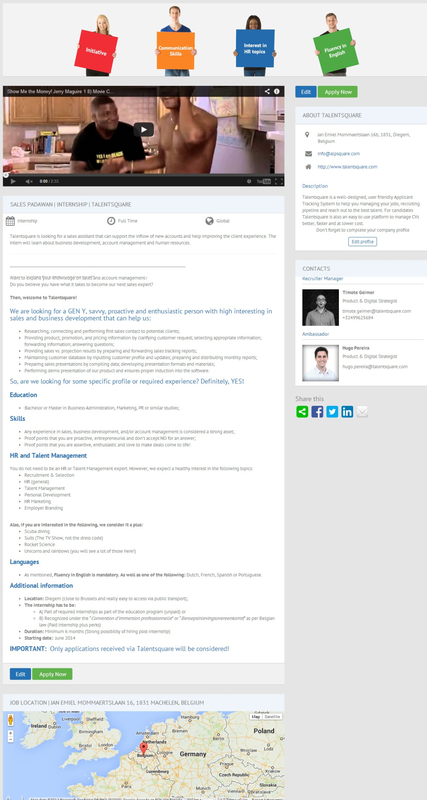 In a couple of weeks, we were able to have a recruitment website, integrating the power of Talentsquare recruitment solution (which allowed us to screen more than 1.000 candidates online) with outstanding web communication and dialogue's possibilities of a blog, and presence in all social media. 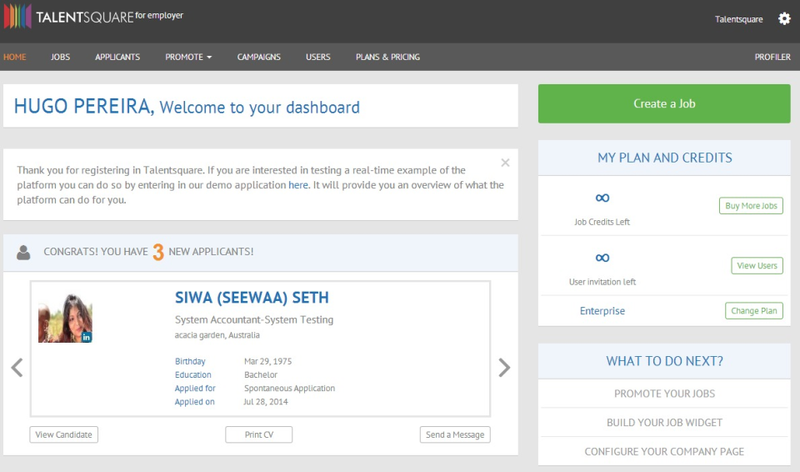 Recruiting through Talentsquare has allowed us to find the right people who have that special extra fast! Comments: The software has a very contemporary look and feel. The communication codes are 3.0-proof; immediate exchange and process transparency mark the product. The vendor has very short development cycles, and the product can handle a lot of system flexibility. There are limited standardized reporting functionalities for Talent Management, but those are in the next development run, so it shouldn't stop you from taking a look. It's ideal for companies who prefer flexibility and speed over rigorous recruitment funnel reporting (KPI's). Comments: It allows me to stop receiving tons of e-mails with PDF´s, Doc´s and different formats of Curriculums at my Job´s inbox. Instead I have a cloud database of all my talents with a powerful filter to search the candidate I need, send them messages and insert comments after every interview. The "spontaneous application" is quite good too. 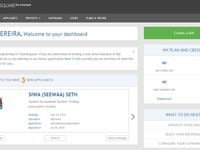 Pros: It offers a wide range of opportunities, and is incredibly simple to navigate and use. Cons: The first time you visit, the home page is strange and a little hard to navigate. Recommendations to other buyers: Make sure that you use it fully before evaluating. I would say that the first 20 minutes are the most frustrating, but after that it becomes very easy. 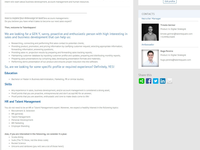 Comments: I like how the CV´s are organised in a smart dashboard. 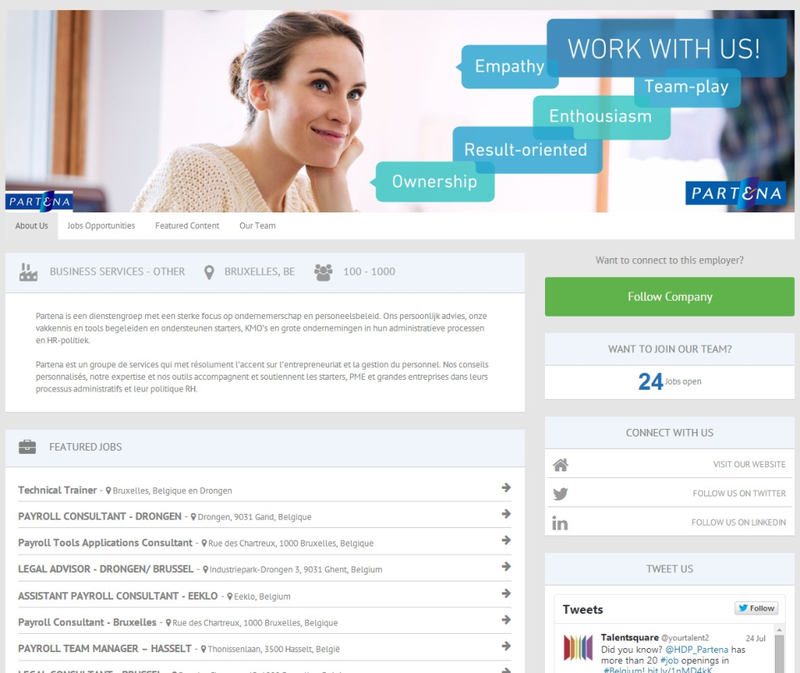 It´s a powerful tool for employers that demand a good way to manage their talents. Analytics are quite good also and you can build performance.